In short, the G stands for generation, so 5G is the collective term for the fifth generation of mobile network technology. LTE stands for Long-Term Evolution, and it’s a 4G technology. The newer 5G is not a replacement for 4G, so you’ll find LTE and 5G technology working together for the foreseeable future. What advantages does 5G bring? In simple terms, 5G will allow us to download and upload data much faster than older technologies. The theoretical top speeds for 5G are extremely fast, between 1 and 10Gbps download speeds and 1 millisecond latency, but realistically we might expect minimum average download speeds of 50 Mbps and latency of 10ms, compared to current average 4G speeds around 15Mbps and 50ms. This will depend on network coverage, the number of people connected in your vicinity, and the device you’re using. 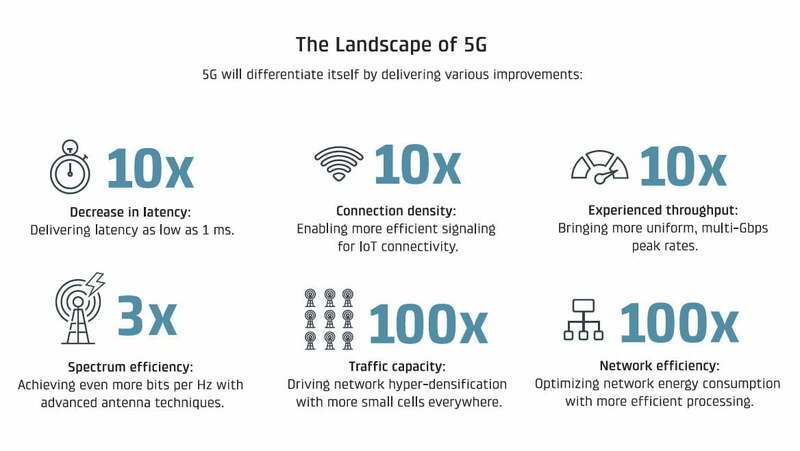 Because 5G is an umbrella term that covers a lot of different technologies, it’s difficult to separate everything neatly and there’s some overlap. The higher speeds that really set 5G apart from any of the 4G LTE flavors require mmWave (millimeter wave) high-frequency bands. These high frequencies have very large bandwidths, so they’re ideal for keeping everyone connected in busy environments like stadiums. Making this work efficiently depends on massive MIMO (multiple-input multiple-output) and beamforming. While 4G base stations might typically have 12 antennas to transmit and receive data, thanks to massive MIMO, 5G base stations might support 100 antennas. The thing about these higher mmWave frequencies though is that they are much easier to block and multiple antennas can lead to greater interference. Beamforming is employed to identify the optimum route to each connected user, which helps to reduce interference and boost the chances of easily-blocked signals reaching their intended recipient. While 4G LTE relies upon relatively few large masts that are built miles apart, 5G will require lots of small cells much closer together. These mini 5G base stations may be placed on top of street lights or on the sides of buildings every few hundred feet in urban areas. Logistically building a network like this out is going to be a challenge, it’s going to be expensive, and it’s going to take time. Just because 5G is beginning to roll out, that doesn’t mean 4G is finished or that it has stopped evolving. The latest top 4G technology to be developed is LTE-A (Long-Term Evolution Advanced) and it promises a maximum speed of 1Gbps, though the realistic average will likely be comparable to the lower end of 5G. There’s also LTE-Advanced Pro, which is even faster still. Unfortunately, AT&T has chosen to label some of its 4G technology as 5G E (5G Evolution) and pushed out 5G E logos onto phones that actually don’t support 5G. 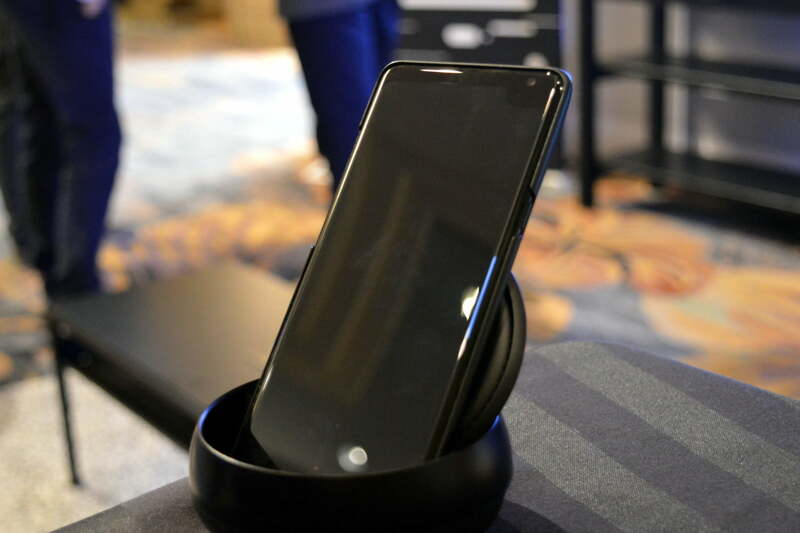 Which brings us to an important distinction: While 4G LTE, LTE-A, and LTE-A Pro will work with the smartphones you own right now, true 5G will require you to upgrade to a new phone with the right hardware inside. If you consider that you want at least 25Mbps to stream 4K, ideally 50Mbps, which LTE already offers in some places, then you may wonder what you need the extra speed for. The truth is that if you have good LTE coverage right now, you probably won’t immediately see a lot of benefit switching to a 5G phone. The future of 5G may be driverless cars, wireless VR gaming, and remote control robots, and many other applications for the technology will doubtlessly emerge, but it’s going to take time for 5G to offer tangible benefits for most people. As if to emphasize this point, Apple is reportedly not going to release a 5G capable iPhone until 2020. We do expect to see several 5G Android phones released this year, but unless you’re lucky enough to live in an area that gets early 5G coverage, they aren’t going to make much difference to your everyday life. In the long term, there’s no doubt you’ll want a 5G phone, but choosing between a 4G LTE iPhone or a 5G Android will be a tricky decision for a lot of people this year. Ultimately, 5G networks will complement 4G and LTE coverage and the two will work together to ensure that we get a fast connection wherever we happen to be.